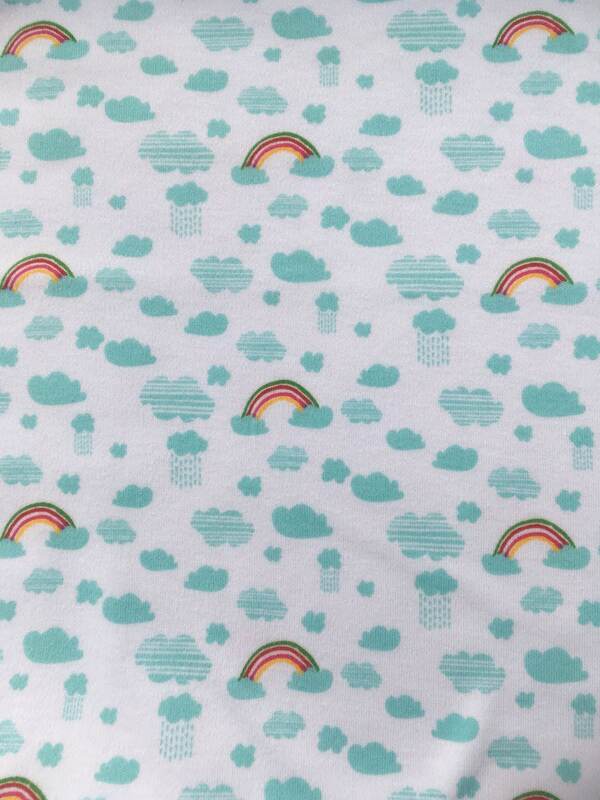 Rico design knitted cotton with a raincloud and rainbow motif. This fabric is 100% knitted cotton so it is stretchy. 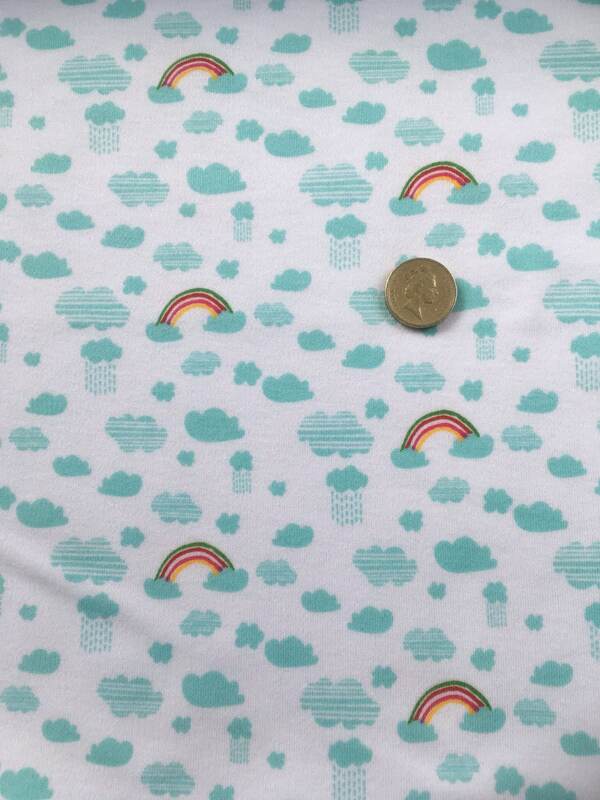 This beautiful fabric is lovely and bright with a crisp white base. 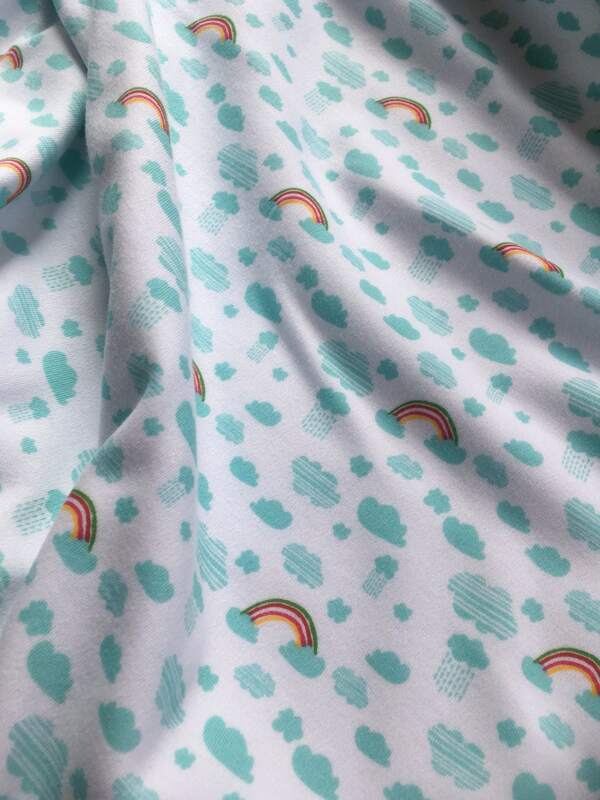 The fabric is 145cm wide and is machine washable. 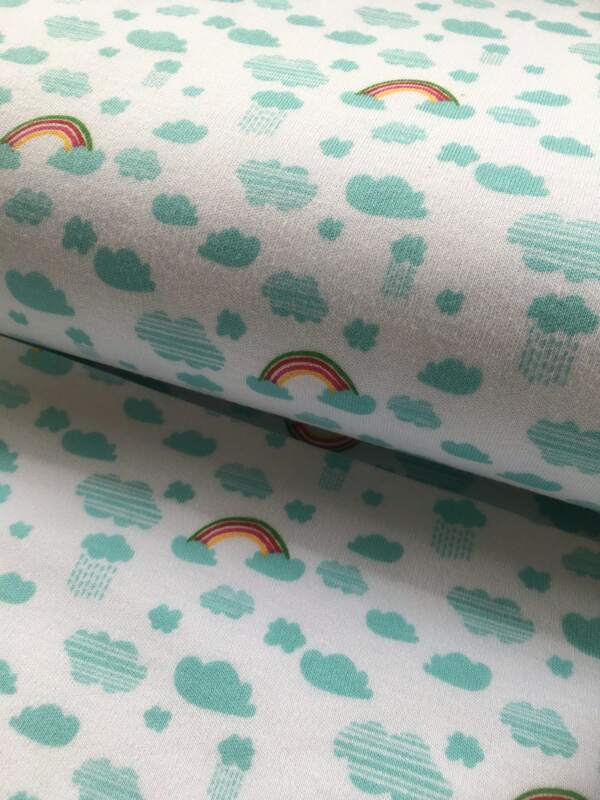 Orders of 1/2 metre or more will be cut in one continuous length. 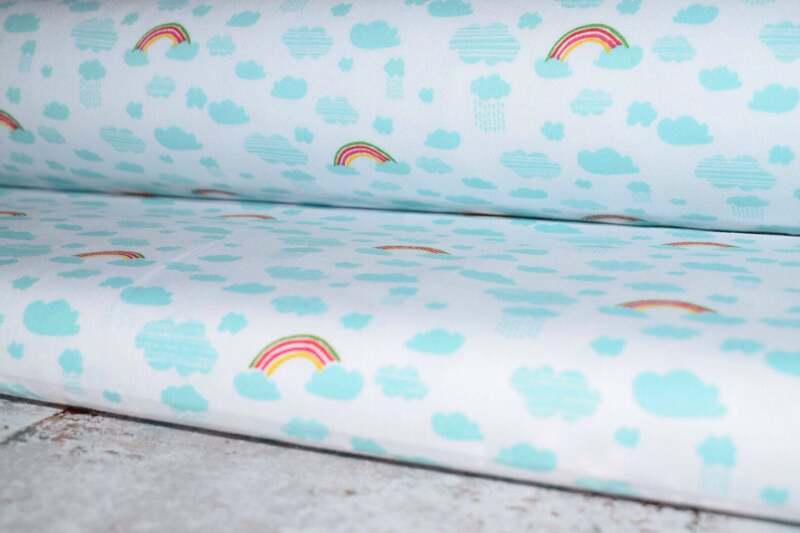 This fabric is also available in woven cotton.